Paul is the pastor of a church and a professor at a seminary in Central Europe … yet he is struggling to forgive a former elder who turned on him three years ago (all names are changed). Anna works with refugee teenagers who pass through her country on the way to Western Europe; she wants training on how to build a truly cohesive team and deepen their capacity for empathy and compassion for the frightened people they serve. 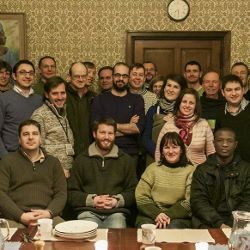 Marcus is grieved by the jealousies and judgments that divide evangelical pastors in his Eastern European country and desires to be voice for humility, repentance, and reconciliation among his peers. Marek leads a ministry that works in 40 prisons in his country. He wants to learn how to teach relational wisdom to the 200 people on his team so they can turn around and model and teach RW to both the inmates and the guards in the prisons they enter every week. Dania loves to share the gospel with university students through her campus ministry … yet she feels like a hypocrite because she has little desire to be reconciled with her estranged sister. Peter and his wife form one of five related teams of missionaries who work within 100 miles of one another in the same country… but seldom get together because of unresolved differences. Each year ELF brings together some of the finest pastors, theologians, and seminary professors in the world. They are highly skilled at hermeneutics, exegesis, preaching, and evangelism. To be successful in their vital ministry roles, church and ministry leaders must also cultivate relational (soft) skills, which include the capacity for listening, empathy, kindness, encouragement, teamwork, problem-solving, and peacemaking. The response to this teaching was exhilarating. We taught five days in a row, engaging pastors, church planters, counselors and ministry workers. At every meal we met with people who wanted specific guidance on how to apply RW to specific relational issues in their lives. We’ve already been asked to do two new webinars for the ELF network. More people are signing up every day for online training. And we’ve been invited to return to five countries for extended live training. As the 700 men and women who attended the conference use what they have learned to improve both their hard skills and their soft skills, they will be better prepared not only to preach the gospel and refute the lies of unbelief but also to model the love and compassion that reflects the presence and relationship-transforming power of Christ. What About Your Church or Ministry? So why not use this summer to improve your relational skills, as well as those of the other leaders and people in your church or ministry? 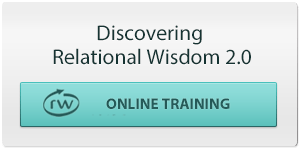 Just think about how training in relational wisdom could make you more effective at serving God wherever he’s placed you … whether at home, in church, in an office, or on the mission field. Then join many of our new brothers and sisters from Europe who have already registered for our online 101/102 RW Personal Study Course or our 201 Advanced Training Program. Whether you learn individually or study as part of a small group, you can raise your relational skills—and those of any church or group you’re in—to a level that expands your ability to reflect the love of Christ. 2 Responses to "Blending Hard Skills and Soft Skills in Europe"
Thank you, Dee. God answered your prayers and ours way beyond what I expected!